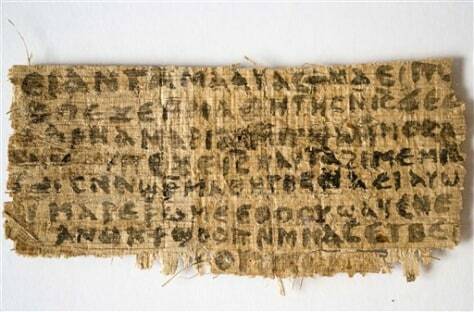 This Sept. 5, 2012 photo released by Harvard University shows a fourth century fragment of papyrus that divinity professor Karen L. King says is the only existing ancient text that quotes Jesus explicitly referring to having a wife. King, an expert in the history of Christianity, says the text contains a dialogue in which Jesus refers to "my wife," whom he identified as Mary. King says the fragment of Coptic script is a copy of a gospel, probably written in Greek in the second century.